Whether you're decorating for a wedding or simply adding some flair to your home decor, creating a tulle ball is an easy project you can do at home. You'll need little more than a foam ball and the lightweight fabric to make the puffy three-dimensional orb. Hang the completed tulle ball -- also called a kissing ball -- from the ceiling or place place a few of them in a bowl as a centerpiece. Purchase foam balls from craft stores in the floral section -- either green or white -- although the color of the ball is not visible when the project is completed. 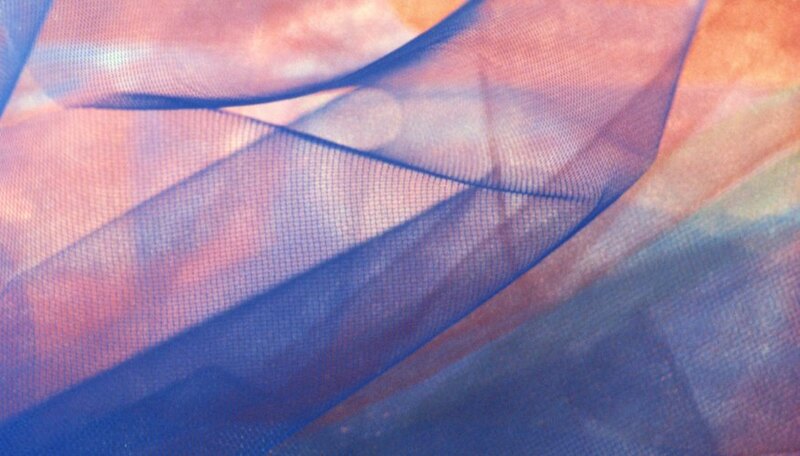 Buy tulle material in any color you desire. Combine multiple colors of tulle for a more colorful tulle ball. Cut the tulle into squares that are about 4 inches on each side. For an even fuller tulle ball, cut these pieces into 5-inch squares. Make at least 60 of the square tulle cut outs. Hold the foam ball in your hand. Puncture the foam surface with a pencil and create a hole that's about 1/4-inch deep. Place a dab of fabric glue in the center of the hole in the foam. Put a pencil in the center of a square of tulle. Bring the edges of the material upward around the outside of the pencil, and hold it in place with your hand. Stick the pencil, with the tulle over the point into the hole in the foam. Hold the tulle in place around the outside of the hole and remove the pencil. The tulle remains in the hole. Fluff the material so that it's plush and extends outwards. Continue the process of creating holes in the foam, adding glue and sticking the foam inside until the entire foam ball is covered with tulle. Create an attachment to hang the tulle ball by pushing a pencil completely through the foam ball, from one side to the other. Thread a ribbon through the hole and tie it in a bow over the tulle ball. Pierce a pencil straight through several tulle balls and string them on a ribbon to decorate a fence or railing.